There's no doubt that Michigan knows how to party. Whether we're celebrating an event or you’re just itching to dance the night away and welcome the weekend, Michigan can deliver a party like few other states. Thus, when it comes to dance clubs in Michigan, there will be plenty of options no matter where in the state you go. Here are the 10 hottest dance clubs in the state. This one has a bit of a distinction to it as it managed to win the 2015 Detroit CityVoter contest for best dance club, despite the fact that it's located in Ann Arbor. Home to Factory, one of the longest-lived Goth-industrial nights in the entire United States, as well as a host of other special events, including a fall formal in which those arriving in formal attire get free admission, there's something going on at Necto just about any night of the week. This downtown Detroit nightclub has a varied music selection, pleasing just about anyone who wants to bust a move. From rock, to pop, to old school, Delux has it all. Every Wednesday night, the club features karaoke for those brave souls looking to show off their singing skills. Weekends feature a variety of DJs and an electric atmosphere, ideal for dancing the night away. As the name implies, Royal Oak is the home base for Luna Royal Oak, a dance club with a history of excellence. Voted best dance club 10 years running by Channel 4 news, Luna Royal Oak features a slate of special events, an equally pronounced slate of drink specials, and plenty of added bonuses on the side, Luna Royal Oak has long been seen as a premier place to party in Michigan. Ever wonder what it was like to drink in a Prohibition-era speakeasy? Well, you'll have a good chance to find out at The Gatsby, a Kalamazoo dance club that's decorated just like those illicit bars of the Roaring Twenties. Featuring drink specials, events like the Friday night Salsa Night, and bottle service before midnight, The Gatsby will provide all the glitz and glamour that its literary namesake suggests. Michigan's capital, Lansing, plays host to The Loft, features room for 500, so the parties here can get pretty big. Offering a slate of special events including the Home Grown Throwdown event for local bands to put on some impressive shows, exciting things to see and do will commonly be on tap at the Loft. Another of Ann Arbor's best nightclub operations, this one gets an edge because it includes an activity for the non-dancer right in the name. Those not interested in dancing at this club will have plenty of other things to do rather than gaze at the floor. With pool tables, karaoke, and all of it in a jungle-themed environment, it's going to be an exciting experience. Throw in some noteworthy drink specials—how does a $0.25 draft on Wednesdays sound?—and you've found one potentially great night out. V in Detroit is worth mentioning for several reasons. If you're out with friends, you'll likely have a good time dancing in general. 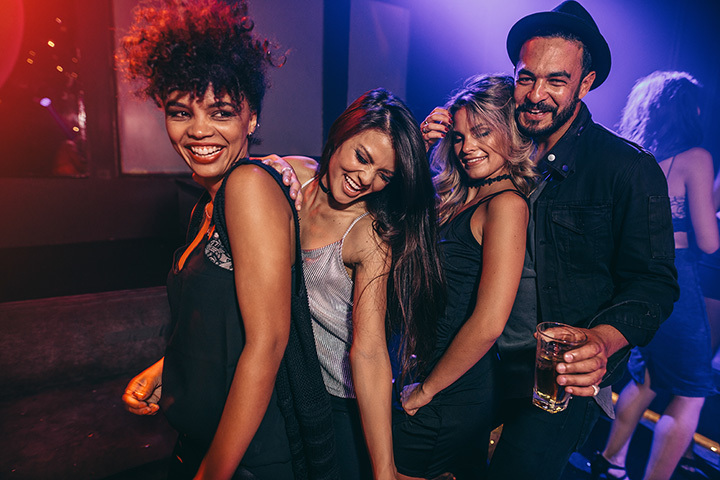 But if you aren’t as interested as your friends in the dancing aspect of the club, no worries: V is actually part of the MGM Grand Casino, which means you'll be able to slip away and enjoy the casino's various other amenities—including bars, restaurants, and a spa—and yet be close enough to your ride home to make the trip worthwhile. For those looking for a more upscale party experience, those heading out to Novi can try out 29 Novi, a club renowned for its “upscale loungey” experience. With a “smart-casual” dress code, this is a step above many common experiences. Bottle service, drink specials, and a spacious dance floor are just the start of the amenities to be had at this step-above club. A comparative rarity, Level 3 Lounge in Williamsburg is one of a handful of dance clubs in northern Michigan. Not too far from Traverse City, this one shares a point of distinction with V. Specifically, Level 3 is located in the Turtle Creek Casino, meaning that those who get tired of dancing or plain old don't have an interest in it will have plenty of other options on hand. The BOB—short for the Big Old Building—in Grand Rapids has more than unusual nomenclature to recommend it. Live music, stand-up comedy, three connected restaurants, dancing, pool tables, and a microbrewery in the basement, the BOB comes with pretty much everything that could be readily asked for. View more Michigan Dance Clubs.